Is American education preparing the future leaders our nation needs, or merely struggling to teach basic literacy and job skills? Without leadership education, are we settling for an inadequate system that delivers educational, industrial, governmental and societal mediocrity? 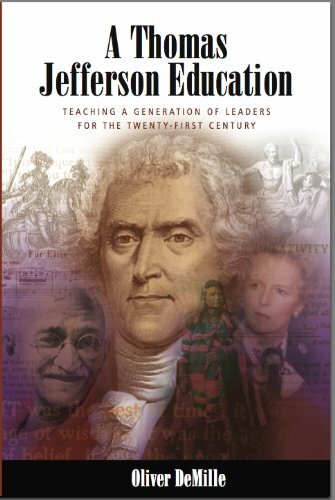 In A Thomas Jefferson Education: Teaching a Generation of Leaders for the Twenty-first Century, Oliver DeMille presents a new educational vision based on proven methods that really work! Teachers, students, parents, educators, legislators, leaders and everyone who cares about America's future must read this compelling book.